The lecture hall was conveniently located in a building called Menara PGRM. 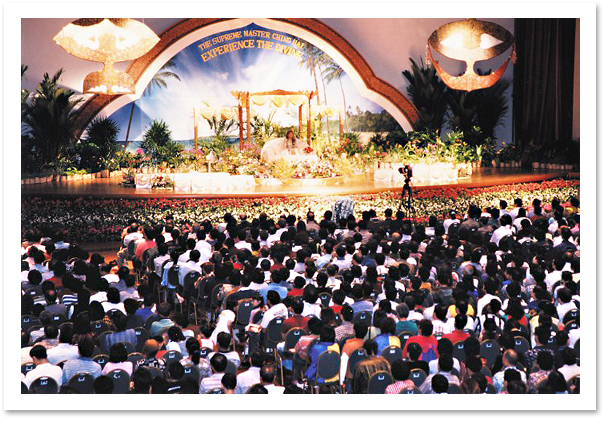 By 6:30 PM, thousands of people, Malays, Chinese, Indians, and others, had filled the hall. Malaysia is truly a democratic country with multiracial and multicultural citizens. The friendliness of the local people was clearly demonstrated when they heartily clapped their hands before and after the video "Walk the Way of Love" that was shown on two large TV screens. They also applauded loudly when a local initiate talked about her own experiences of following the Quan Yin Method. 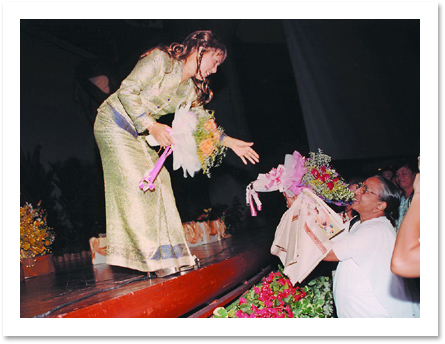 When Master arrived wearing a light green dress, the crowd gave Her a very warm welcome. Feeling the positive vibrations from the audience, She said, "God blesses you for coming in the rain. May God bless you and your country, which is very beautiful, clean and prosperous. We have to be grateful to God, Buddha, Allah, Who have blessed our country and blessed the people here so much. The people here are very disciplined and very highly elevated." Malaysian people demonstrate their love for Master. Master emphasized, "All of you are God already! The essence of life is love. The essence of God, of Buddha, of Allah, is love. There is nothing else but love. When we make the choice of love, which is the highest choice, the noblest choice, which is our True Self, we will feel that we are very near to God, very near to Buddha. There are many choices that we can make in life, and depending on the choice we make, we will become the being that represents that choice. Over time, again and again, we keep making different choices -- to be a human being, an angel, a deva, to be one with God, or yet again to come back to human life in order to remember or relearn again the whole process. And when we remember or relearn again that we are from God, that we have God Nature, that the Holy Spirit lives within us, at that time, we say we are 'enlightened'." "To know God, to know your Self, is as if you just turn your palm. Look at the front of the palm, we see God, we see our Self; looking at the back, we just see a mundane, human, mortal being. If you just turn around, then you know immediately that you are God. There is nothing else inside ourselves but God. It is up to us to try to remember or not. I am here to help you remember." "God is the Light that is brighter than thousands of suns put together; God is the melody that fills our soul with all happiness and contentment no mater where we are, what race or personality, what kind of background, or what kind of religion we have. If we want to touch God, Hes even will manifest as one of us, for example, as Jesus, Buddha, Mohammed, the Sikh Gurus, Krishna, a Master, etc. These are all the personal, individual manifestations of God for us to love, to see, to touch, and to believe. We still can contact these Masters when we raise our consciousness to their dimension, which is higher than the physical consciousness of this planet. If I can, you can; if our initiated brothers and sisters can, you can. It happens now; it's not thousands years before. The good news is that we are one of these "Systems;" we are one with this godliness, we are one with everything that we see, dream of, or can imagine, we are that. Just like we are one of the members of the audience in this hall, but we are also the whole with the whole gathering. To see God, to know God, to talk to God even, is a very normal thing for us. Some of us have made many choices already. Sometimes we have chosen to be an ignorant person; sometimes we have chosen to forget that we are one with God and that God dwells within us. Sometimes we have chosen to do things that are even un-Godly, so-called 'un-Godly' or the opposite of love. We have chosen to do so many things, but maybe this is the time we have chosen to make the higher realization, higher remembrance of our Selves because we have done all of the lower part already. Thousands of people, including Malays, Chinese, Indians, and others, fill the lecture hall. Master then gave the audience a gift. She asked that whoever wanted to experience God close their eyes, and She taught them the Convenient Method. * The wisdom eye is also called 'Eye of the Soul'. Before we reach the level of seeing God with both the physical and wisdom eyes, we should close our physical eyes during meditation to minimize the distractions of the world. * When Jesus said: "In the house of my Father, there are many mansions", the term "mansions" depicts the different levels of consciousness. Using the "soul road", we can ascend to heaven and see different levels of living beings or descend to hell to help people who suffer there and bring them up. These are choices we have when we attain enlightenment. * "We cannot cheat ourselves at the time of death. Whatever we did during our lifetime, our subconscious records everything; even if no one in the world knows, our subconscious knows. So when we die, we shed the cover of the body and everything is transparent. We know absolutely everything, and everyone knows -- the whole universe knows absolutely everything about what we did; therefore, we must take care that our deeds, thoughts, and actions are pure and noble." * "The wisdom eye is always open; it's just that we don't look with it. We usually use the physical eyes and physical ears of the physical body, and we forget our heavenly faculties. , That's why we don't know ourselves." 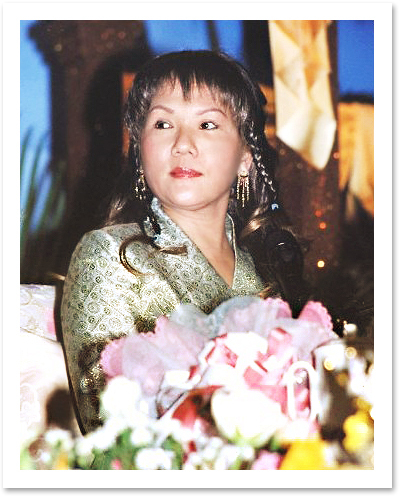 * "If you meditate on the Quan Yin Method, for example, and your wisdom eye is clear. You will naturally solve problems without having to make any effort; you will be wiser. The actions you do in your everyday life will naturally bring a better result and you will lead a better way of life. You will feel better about everything." * "We cause war because we do not recognize God; we do not recognize that we are part of God; we do not recognize the brothers who we kill are also part of God, also Buddha. That's why everyone should be enlightened, and we'll see that we are all one, we are all sisters and brothers, and there will be no more war." * "We don't take meat because we want to develop or to remember our compassionate Nature. Because the Buddha and God are merciful, if we want to become God again, become one with God again, or near to God again, we have to exercise our Godly quality which is all compassion, all love." * "I am not here to prove anything. I'm here to tell you that you are great. If you want to remember your greatness again, I can help you. That's the only proof, only for you to prove it to yourself." 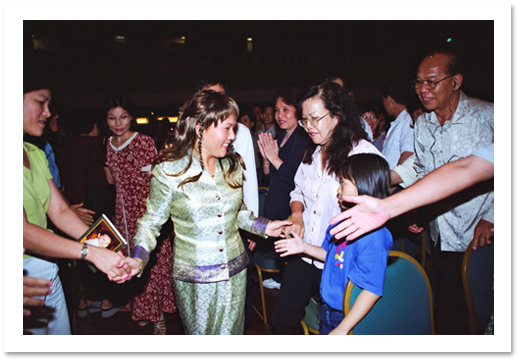 With hundreds of people receiving initiation and many more having learned the Convenient Method and tasting the experience of communicating with God, Malaysia became richer in spirituality on the last day of April '00. These fortunate Malaysians will experience the true meaning of "Seek God first and everything else will be added unto you!"